Plantar fasciitis is caused by inflammation or degeneration within the thick specialized ligament in the bottom of the foot – known as the plantar fascia. It is this ligament that supports the arch of the foot, so when it is compromised or inflamed it can be extremely painful. Those with plantar fasciitis may experience heel or arch pain that is generally worse after an activity or after sitting and then standing again. While it can affect anyone, we commonly see it affecting those who are overweight, those who do not wear supportive shoes, and those who run or stand for long periods of time. The final suggestion I have is if you are starting a weight loss program by walking, starting gradually is the key. Too much walking, not enough rest days, changing your distance or terrain, or “pushing it” can frequently cause plantar fasciitis. By controlling our weight, we are less likely to experience foot and heel pain, but I do recommend cross training. This means not doing the same exercise every day; alternate walking with swimming, biking or the elliptical. For most patients, plantar fasciitis can be controlled without surgery, but it depends on how long they have experienced pain and if the pain started due to an injury to the ligament itself. If you have been having pain for longer than three weeks and you have tried the above suggestions, it may be time to see a board certified foot and ankle specialist. 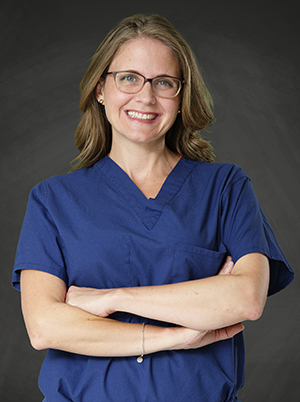 Claire Capobianco, DPM, is Board Certified in Forefoot, Rearfoot and Ankle Surgery, and is Fellowship Trained. She is affiliated with Beebe Healthcare and employed at Orthopaedic Associates of Southern Delaware’s Foot and Ankle Center. For more information on Orthopaedic Services at Beebe, go to www.beebehealthcare.org/ortho.